Click HERE for a copy of our program guide and pricing information. 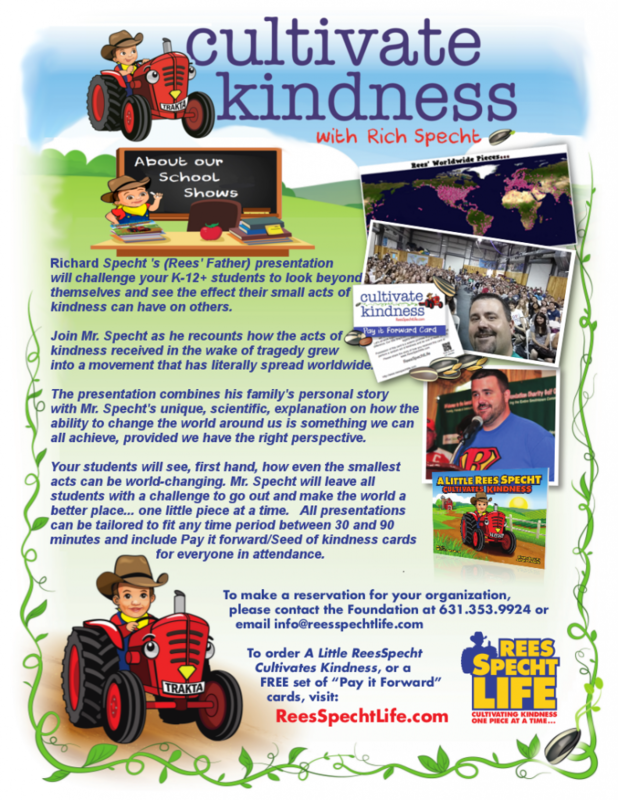 Book a date for Rich Specht to come to your school or organization and share his family’s story about how kindness changed their world in the wake of tragedy. His presentation will inspire your students/staff to go out and actively change the world themselves! Rich’s program will not only inspire your students, it will challenge them to actively participate in kind acts. All students and staff will be given a Cultivate Kindness “Pay it Forward Card” or a Cultivate Kindness “Seed of kindness card” that serve as a tangible reminder of how they can spread kindness to others. For more information including rates, program descriptions, and/or information about the foundation click HERE. If you wish to book a show, please email [email protected] or call us at 631-353-9924. You may also contact us using the form below. 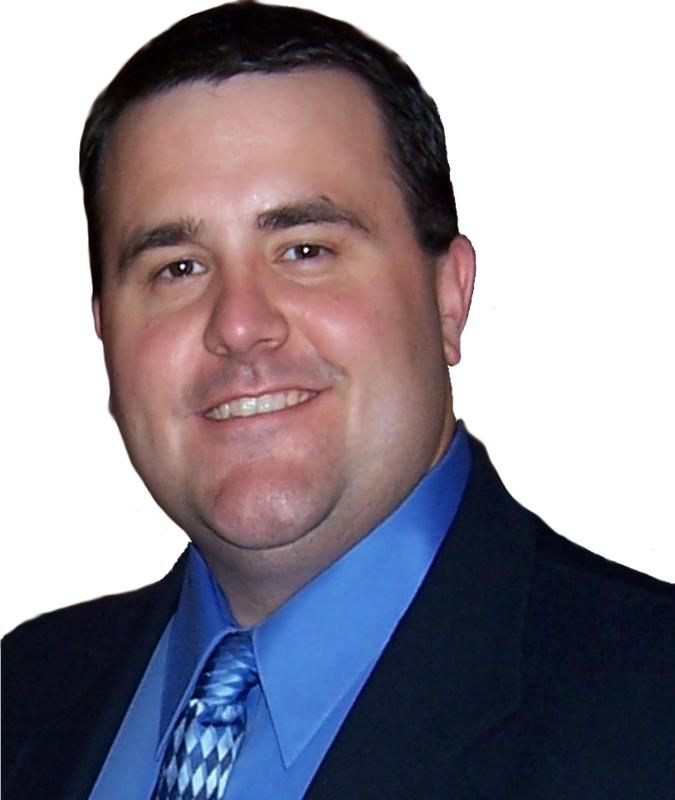 RICH SPECHT is a father of four who holds a bachelor’s degree in biology from the University of Mary Washington and a master’s degree in liberal studies from Stony Brook University. Prior to embarking on his career as a public speaker and advocate for kindness, Rich was a science teacher for 15 years at Great Hollow Middle School, in Nesconset, New York. In addition to his speaking, Rich is also the published author of the award winning children’s book A Little Rees Specht Cultivates Kindness. Rich and his wife, Samantha, are the co-founders of the ReesSpecht Life Foundation which they formed in the wake of the loss of their only son, Richard Edwin-Ehmer (Rees) Specht at 22 months old. The acts of kindness that the family received after Rees’ passing inspired them to “pay forward” that kindness; which the foundation does in the form of scholarships for High School seniors who demonstrate a commitment to their community, compassion and respect, as well as the distribution of almost a quarter of a million ReesSpecht Life “pay it forward” cards. The themes and characters from Rich’s book(s) are currently slated to become an animated children’s television series produced by Safier Entertainment. The book and television adaptations of A Little Rees Specht Cultivates Kindness represents the culmination of Rich’s goal to help make this world a little better, one Rees’ piece at a time. Rich currently resides in Sound Beach, New York with his wife, Samantha, daughters, Abigail, Lorilei and Melina as well as his angel above, Rees.